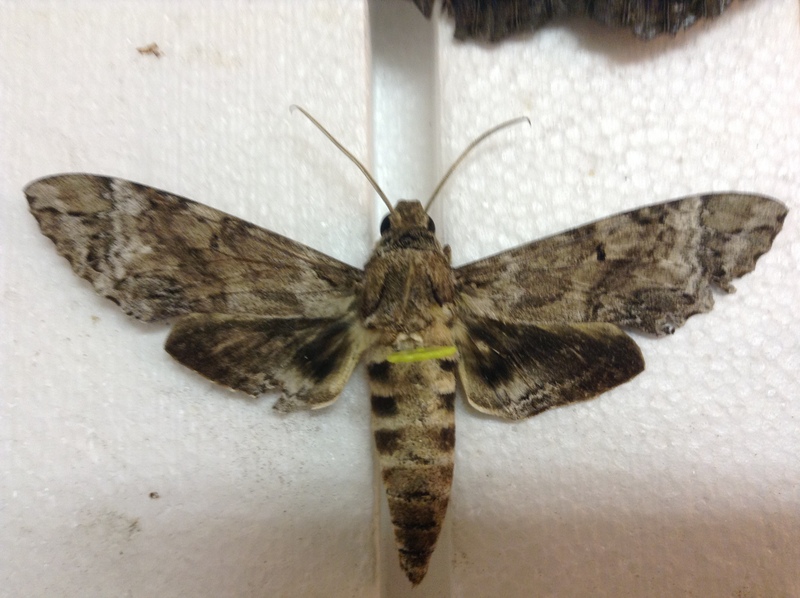 Identification: Forewing upperside is dark brown with a dark spot at the base of the costa and blurry gray and white markings. 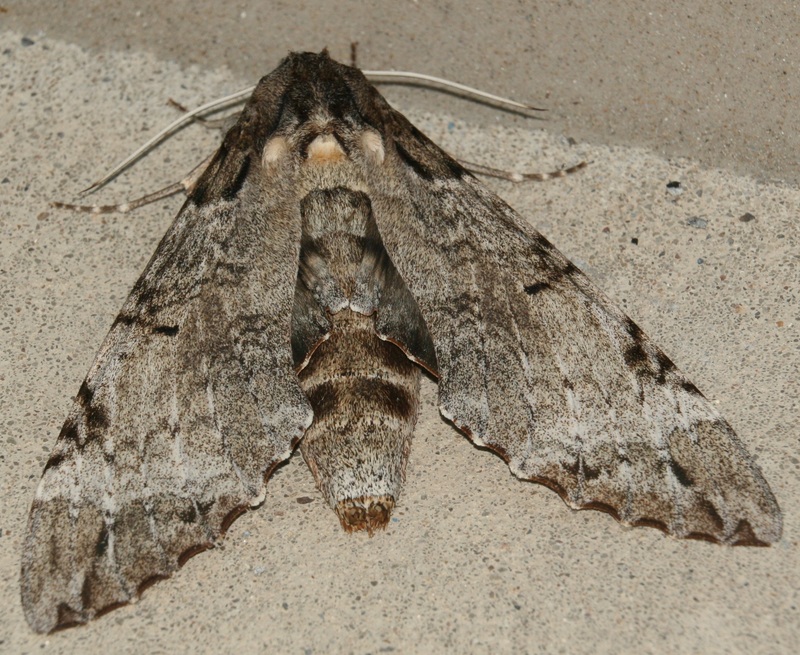 Hindwing upperside is dark brown with white along the inner margin and the lower half of the outer margin. Wing Span: 5 - 5 1/2 inches (12.7 - 14 cm). 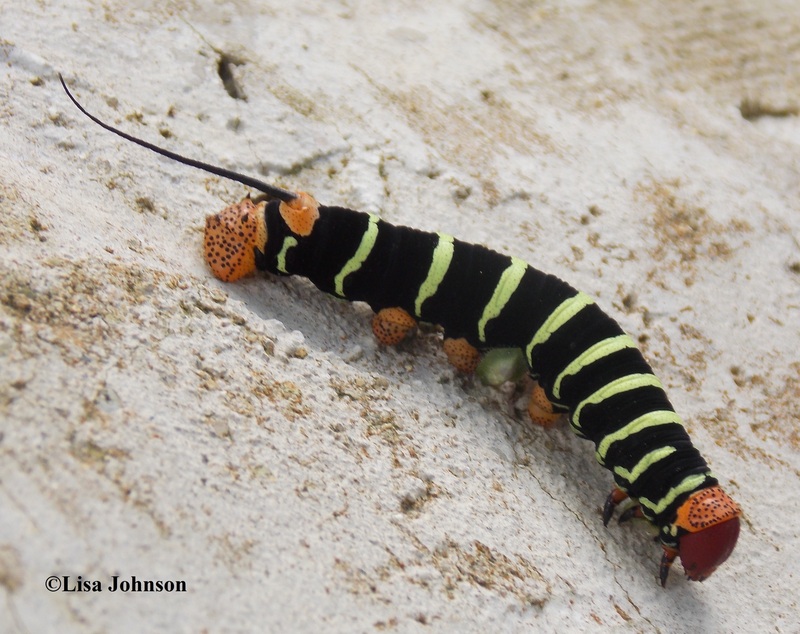 Life History: Females lay eggs in clusters on leaves of the host tree. Flight: . Several flights from March-September in Florida. Caterpillar Hosts: Frangipani (Plumeria rubra) and other Plumeria species, and Allamanda species; all in the dogbane family (Apocynaceae). Adult Food: Nectar from flowers including rosy periwinkle (Vinca rosea). Range: Southern Brazil north through Central America, Mexico, and the West Indies to south Florida, southern Mississippi, Texas, and southern Arizona. Has strayed to Nebraska and Pennsylvania. 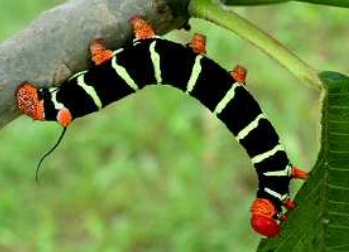 Management Needs: Tetrio sphinx caterpillars can defoliate a frangipani tree in a few days.